Discussion in 'Luthier's Guitar & Bass Technical Discussion' started by mcknigs, May 9, 2016. When I adjusted the truss rod the sleeve spun with the bolt. When I used pliers in an attempt to spin the sleeve back or attempt to remove it, the pieces I grabbed snapped off. Is this a problem? Is that sleeve anything more than decorative? Still interested in an answer to this question. Anybody? In some of Fender's designs, the plug can anchor against the rod to let you force the neck into a front bow. Not sure if yours is like that, particularly if it's so loose. If the rod is working and you can room to go either way, I probably wouldn't worry about it (unless you can just exchange it for another one without the broken plug). OK, I'll interpret this to mean that it may have a function, and that I'm better off leaving the remnants in there. Exchanging isn't an option. I got this used at a gear swap. 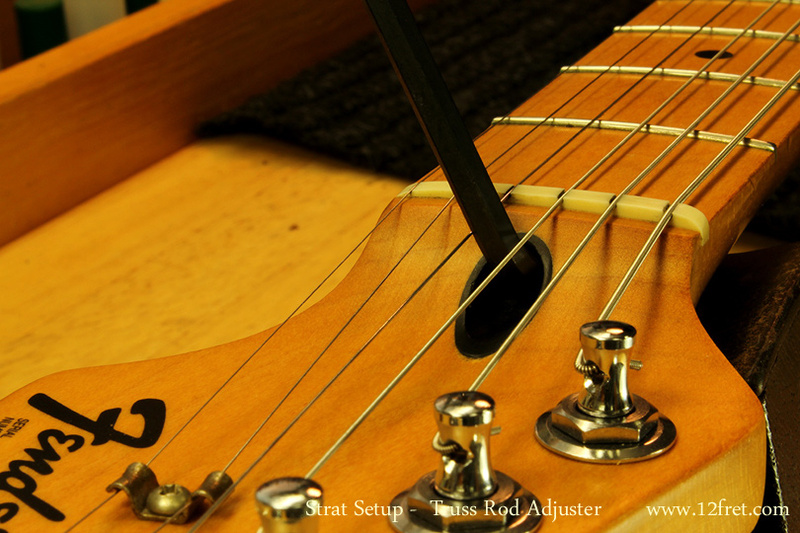 In some of Fender's designs, the plug can anchor against the rod to let you force the neck into a front bow. Not sure if yours is like that, particularly if it's so loose. it's not, you can spin the mexi truss rod nut right out of there. pretty sure that black liner is just decorative, maybe it serves to keep the truss rod nut centered in the hole.